Oil on gallery wrapped canvas 20"x 20" (51 x 51 cm). 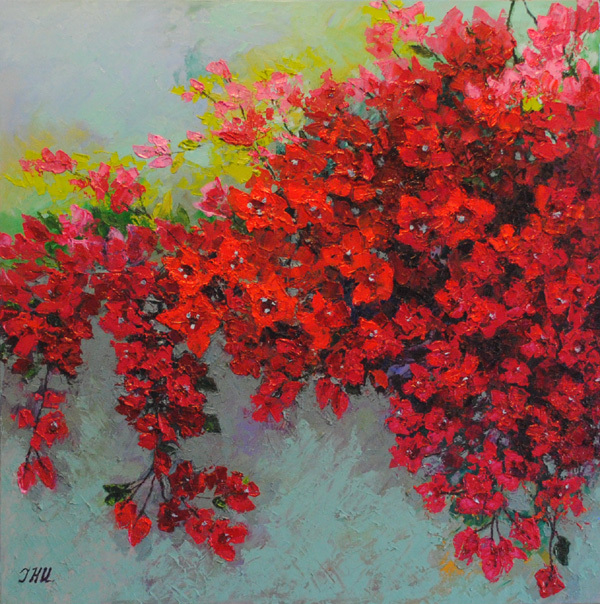 Made with palette knife using impasto technique. Finished today, December 19th, 2017. 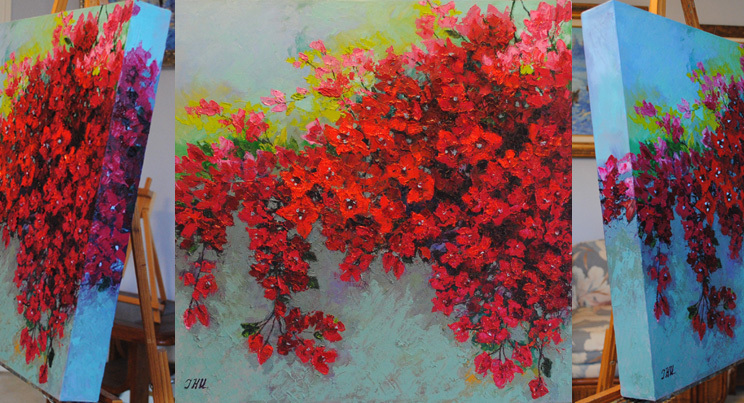 I paint bougainvilleas a lot, but I thought it was past due for a much "bigger work". They represent Passion, Love - the whole intensity of it. The abundance of Passion and Love. So, this painting is for those who dare to have such feelings. I tried to make this painting emotional. Technically, it means it should be done in a free, almost abstract style, but with enough definition to achieve liveliness and a flow of energy. This work is dimensional because of gallery wrapped canvas. Enjoy!! !